Archaia was good enough to send over the cover for Cow Boy: A Boy and His Horse. The hard cover graphic novel will be released in March of this year. Are you interested in this title? The cover and press release are below. Los Angeles, CA (January 20, 2012) – NOTICE! Archaia Entertainment announces COW BOY: A BOY AND HIS HORSE, a dandy new graphic novel comin’ in March by NATE COSBY (Jim Henson’s The Storyteller, Pigs) and CHRIS ELIOPOULOS (Franklin Richards: Son of a Genius, Misery Loves Sherman). Them good-for-nothin’s wrote’n drew the main tale, and there’s short stories by the likes’a ROGER LANGRIDGE (The Muppet Show Comic), COLLEEN COOVER (Spider-Man), BRIAN CLEVINGER & SCOTT WEGENER (Atomic Robo) an’ MIKE MAIHACK (Cleopatra in Space). COW BOY’s the tale of Boyd Linney, a 10-year-old bounty hunter determined t’round up his entire outlaw family. He scours the Old West on a horse that ain’t his, armed with a stick-horse what packs a loud holler. 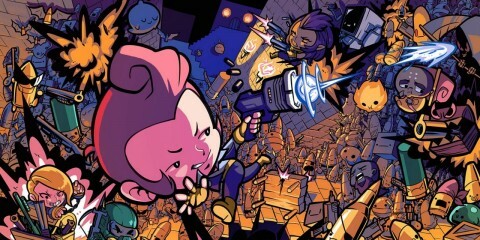 This here book’s shippin’ in March, and is available for pre-order now through them comic shops. 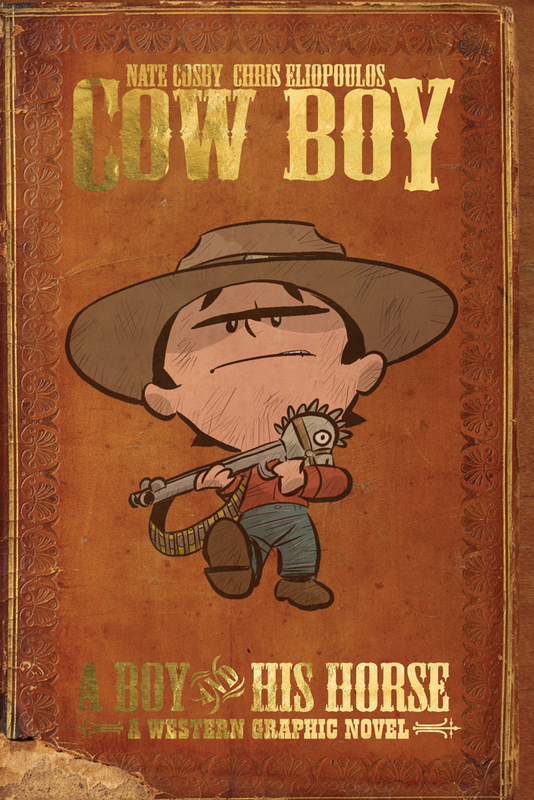 Startin’ January 23, you can mosey over to http://cowboycomic.net and follow the adventures of the Cow Boy. There’ll be free weekly updates with never-before-seen parts of this tale for all ages to gander at.